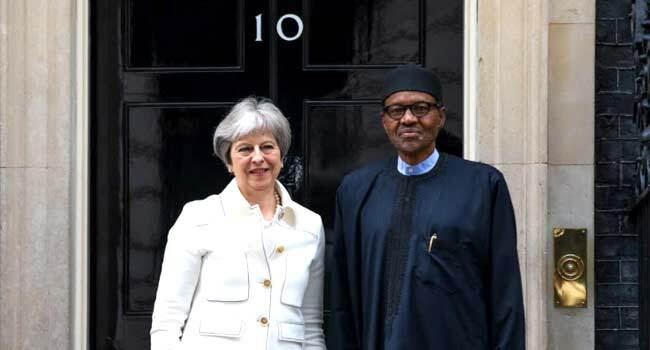 While politicians are preoccupied with the forthcoming general elections, President Muhammadu Buhari told British Prime Minister, Theresa May, that he is more concerned about the security of the people and the growth of the Nigerian economy. The President said this on Monday when he held a bilateral meeting with the British Prime Minister at 10, Downing Street, London. According to a statement by the Special Adviser to the President on Media and Publicity, Mr Femi Adesina, the three-pronged focus of President Buhari’s administration resonated through the conversation. “People can look after themselves if well educated. In this age of technology, education is very important. We need well-staffed and well-equipped institutions to move into the next generation,” President Buhari said.